Lasko is playing in this week's IMG Academy Junior World Championships at Torrey Pines GC in San Diego, Calif. Some of the work that Clackamas' Nick Lasko has invested in his golf game over the past six months is starting to pay dividends this summer. 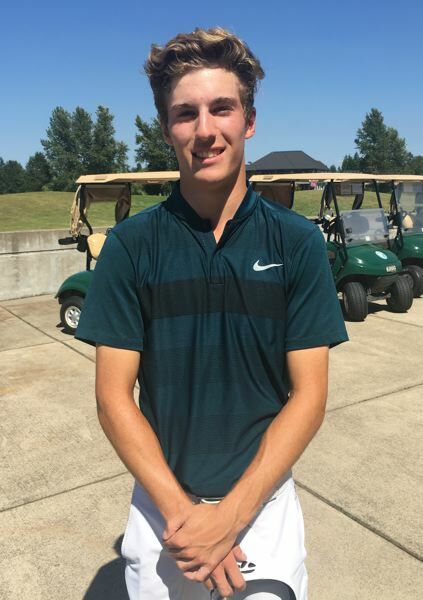 -- Rounds of even-par 72 and 2-over 74, which left in a tie for ninth place in the June 9-10 Centennial Junior Championship at Centennial Golf Course in Medford. -- Back-to-back rounds of 1-under-par 70 and a fourth-place finish in the June 19-20 Peter Jacobsen Junior Challenge at Trysting Tree Golf Course in Corvallis. -- A round of 3-over 74 to finish in a tie for seventh during the stroke play qualifying round in the June 25-29 Bob Norquist Oregon Junior Amateur at Astoria Country Club. -- A closing round of 2-under 70 for a 54-hole total of even-par 216 and a fourth-place finish at last week's Oregon Junior Stroke Play Championships at the OGA Course in Woodburn. "I feel consistent, solid, and just making sure that I feel confident, because confidence for me is a big key," Lasko said. "Basically, what's happening is the result of the work I put in through the winter and spring ... and all aspects of my game. Not just driving or putting or chipping, but just everything, non-stop. "I think it's now just coming together." Lasko started Thursday's final round of the Stroke Play Championships four strokes off the lead. He then went out and posted the first bogey-free round of his competitive career, yet still finished four strokes behind co-leaders Nate Stember and Johnny Ward, who went to a two-hole playoff before Stember emerged as the winner. "I was just trying to battle to even par for the tournament," Lasko said. "I wasn't really focused on the lead, because I knew if I just focused on my 'now' and what was going on in the round, then the placings and the statistics would figure themselves out. "What I did well the final round was my approach shots. I missed only one green and I gave myself a ton of opportunities. It's hard to screw up when you don't hit it into trouble. I avoided that and it made things a whole lot easier." Clackamas' Sam Pyon also was in contention at the start of Thursday's final round, closing with a 74 to finish alone in fifth place at 217, one shot behind Lasko. Lasko's next big test comes this week when he is part of an international field competing in the IMG Academy Junior World Championships beginning Tuesday at Torrey Pines Golf Course in San Diego, California. He plans to return home on Saturday and then head out again to play in the July 16-17 Southern Oregon Junior at Rogue Valley Country Club in Medford, followed by the July 18-19 Klamath Basin Junior at The Running Y Ranch Resort in Klamath Falls.